Cutaneous neoplasms are broadly viewed as benign, premalignant, or malignant. In dermatology, lesions are classified based on the primary cell of origin or the component of the skin predominantly affected by the pathologic change (epidermis, dermis, or subcutaneous fat). The diagnosis and treatment of skin lesions rely on understanding the clinical presentation and corresponding histopathology. Surgical treatment is not always indicated and is dependent on multiple variables. 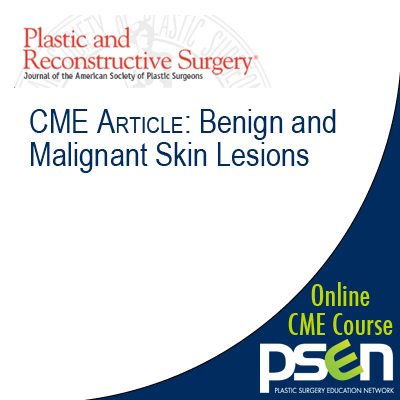 This review discusses several benign and premalignant neoplasms frequently encountered by the plastic surgeon. The emphasis is on clinical presentation, histopathologic correlation, and management approach. This CME activity contains videos in addition to the text and figures. We hope you find the videos educational and highly informative. 1. Clinically describe various cutaneous neoplasms. 2. Identify the corresponding histopathologic findings. 3. Discuss the optimal treatment approach for each entity.